When I hear of wind turbine or windmills, first thing that comes up to mind is the Bangui Windmill – the first and the largest power generating windmill farm in in South East Asia situated in the province of Ilocos Norte, Philippines, an officially referred to as the NorthWind Bangui Bay Project by the NorthWind Development Corporation. 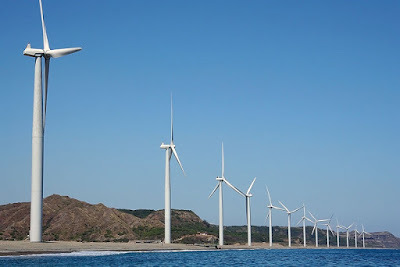 I only have heard of it at first but never really pay attention to its details until a friend (also a co-blogger) featured a trip of theirs to Ilocos and their experience up close with 20 giant wind turbines arranged on a single row stretching along a nine-kilometer shoreline off Bangui Bay, facing the South China Sea. 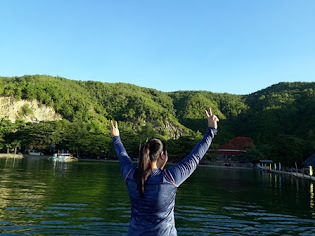 I was hoping I am in the same exact place as I was watching their pictures and that of a graceful arc reflecting the shoreline of Bangui Bay. Poor quality of power that discourages investments in the province is what stirred the former Governor Ferdinand Marcos, Jr. to pursue the development of a power plant in Ilocos Norte in 1990s. In 1996, it was found out by the National Renewable Energy Laboratory (NREL) after conducting wind resource analysis and mapping study that various areas in the Philippines including Bangui are favorable to wind power installation, thus, the development of the wind farm project. 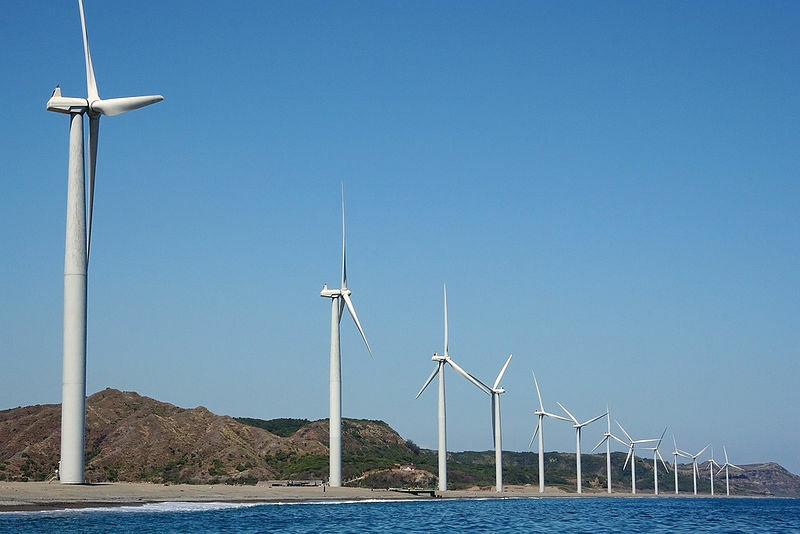 The Bangui Wind Farm has become Ilocos Norte’s popular traveller’s attraction next to their beautiful sandy beaches, historical churches and other architectural structures. More than being an attraction for the locals and tourists, each of those wind generator that uses the limitless forces of the wind to create energy also plays essential role on Save Mother Earth - eradicate if not eliminate pollution campaign. Unlike burning of fossil fuels like coal and natural gas, wind turbines do not pollute the air and therefore, helping the global warming issues in the country.